It’s the fragrance of icy cool peppermint. Fresh and minty and totally peppermint! COMMENTS: I used this in a peppermint candy inspired Christmas soap. It soaped beautifully. No acceleration, discoloration, or ricing. It smelled wonderful after being cut and for about a week after but it really fades fast in cold process soap. After a six week cure it was a very faint compared to after it was cut. I used it at 5% but I will try it again using a higher amount next time. "This really does smell just like Peppermint Candy." COMMENTS: This really does smell like peppermint candy. The soap that we made was a big seller. "peppermint candy foot care kits"
COMMENTS: I made a foot care kit with the peppermint candy for christmas the smell was wonderful and it sold out thank you for making such as wonderful scent. "Smells just like peppermint essential oil!" COMMENTS: Love this! it smells so pepperminty and like actual essential oil. Will repurchase. COMMENTS: This smell is riding us all into christmas on a sleigh with this scent! Almost smells edible! "Wow! I love this one!" COMMENTS: It behaves well in CP soap and is perfect for bath bombs and sea salt/sugar scrubs! I'm using it like crazy! COMMENTS: I was looking for Christmas fragrances do to my family wanted me to make soap for stocking stuffers this year. I chose peppermint as one the fragrance was great it holds well and it lingers in my house for days. Enjoyed the sent and will purchase again. COMMENTS: Wouldn’t use it alone .. but added a bit to a chocolate fragrance - wonderful mix in melt and pour. COMMENTS: This is the second peppermint type scent that we have found that won't discolor! Both from WSP (the other one is peppermint stick, which is equally amazing). Soaps perfectly. Smells just like the mix of peppermint and spearmint candy rounds that you get at Christmas. This will be a permanent holiday addition to our soaps. "I like it a lot"
COMMENTS: I really like this scent year round. Soaps, body butter, foot soaks. Fresh and clean. Going to give salt bars a go with it. It’s been awhile since I soaped with it but I don’t remember much acceleration and definitely no discoloration. COMMENTS: This is my go to scent for my candy cane soap! 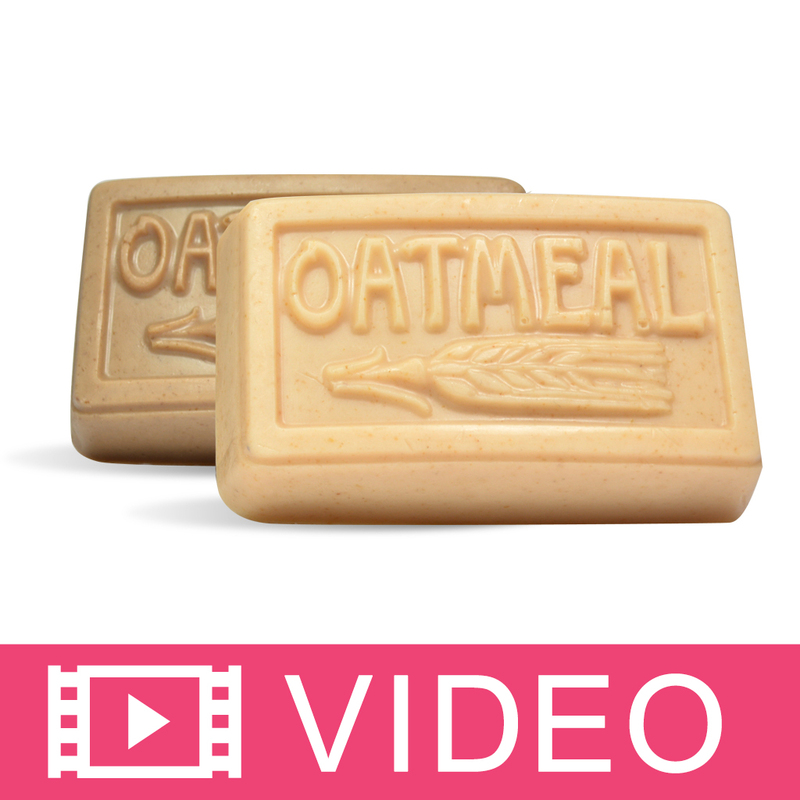 It is always a hit and soaps perfectly in both cold process and melt and poor soap! Smells sweet and fresh and minty! COMMENTS: Soaps beautifully and doesn't fade during cure. COMMENTS: I used this in Melt&Pour. The fragrance stayed true, and family and customers loved it. COMMENTS: I was only going to use this as a Christmas seasonal scent. I have one customer that this is the only scent he would buy. So I now keep it in stock year round. COMMENTS: I make para-soy melts. This is a little different than the straight peppermint. It is a little sweeter and maybe added spearmint? Its GOOD! I had to sub it for my Double Mint and then got messages saying it was the best double mint they had ever had from any vendor. COMMENTS: I love this sweet smelling scent and not only does it behave perfectly in my CP, but it does not discolor one bit. Can't do without this one for holiday soaps! "Fluid Ounce measurement VERY different than Net Wt"
COMMENTS: This is a good peppermint scent, but I thought I would share a word of caution. I have never had a bottle of fragrance oil measured in FL OZ. be drastically different than the NET WT. This bottle of FO was the first. My 4 FL OZ. bottle weighed only 3.2 OZ NET WT. and I had already formulated and started my batch of CP. I was shocked because this has never happened to me before. 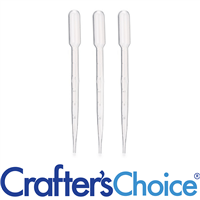 WSP has verified that their FL OZ measure can be different from NET WT. Apparently this is a very "light" fragrance oil, so just plain accordingly. We'll see if the scent will stick (other CPers said it fades), because my usage calculated to have been 6%, is now only 4.9% PPO. COMMENTS: A nice Sweet pepermint scent, will be using for Christmas soap! COMMENTS: Candy cane goodness. I added a little peppermint EO to give that extra mint I was looking for in this scent. Otherwise, it is a good holiday candy scent. COMMENTS: Love the scent,. Smells like candy canes. COMMENTS: This Peppermint Candy Fragrance Oil is a staple in my product line for the holidays. It's not overly sweet or warm. Nice and bright notes. Love this one! "Smells just like peppermint candies!" COMMENTS: I love this scent! I ordered this along with the purely peppermint scent and I think this one is much more like peppermint but with a sugary note it smells just like a candy cane! COMMENTS: We used this scent half and half with Peppermint EO and it works great. At Christmas time this is a crowd pleaser but we also sell in all year round. Behaved well in cold process soap and held its scent. All year round favorite!! COMMENTS: Smells like real peppermint! I absolutely love the smell of mint, it's so fresh and sinus opening. This fragrance doesn't smell sweet, it's very true. 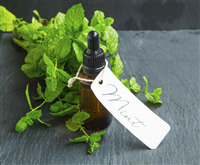 "A staple in my fragrance oils"
COMMENTS: This is a great peppermint, I love it! "Smells just like peppermint candy"
COMMENTS: I used this to make Bath Bombs for my friends children, and they went crazy for this peppermint bomb. Will buy again! COMMENTS: This is a wonderful scent for Christmas or anytime of the year! COMMENTS: This fragrance smelt just like candy cane and that is exactly what I wanted! "Proceed with caution in soy wax"
COMMENTS: Lovely scent out of the bottle. However, I found this fragrance, when used in Golden Brands 464 wax and lit, emitted a kerosene-like smell! YUCK This occurred over several batches of candles. Proceed with caution when using in soy! COMMENTS: I love how this fragrance is nice and strong, but not overpowering! Very well behaved in cold process! No acceleration, no ricing, no separation, great scent throw and best of all, no discoloration! No vanillin! Love this fragrance! COMMENTS: This fragrance oil smells so delightful! Very true to its name. The joyful smell of icy peppermint makes you feel cool, refreshed, and relaxed. I love using this fragrance oil, its always a big hit. "Love- smells just like peppermint nougat candy"
COMMENTS: I LOVE this fragrance, I will be ordering my 3rd bottle soon. It behaves like a dream in cold process soap and doesn't discolor. COMMENTS: Nice peppermint scent for Bath Fizzies for the holidays. This is my best selling Holiday Scent! COMMENTS: I was expecting this to have a sweeter scent to it but the mint is very strong. I still like it but wasn't what I expected. COMMENTS: this was a nice alternative to peppermint essential oil. so far I have only used it in sugar scrubs but it worked great. the scent is not too overpowering. COMMENTS: This is such a nice fresh scent. It smells just like peppermint candy and acted very well in my cold process soap. I will be ordering more. COMMENTS: Great smell, although not quite candy cane I was looking for. The 0 vanilla content will allow me to use this is a lot of different applications though. COMMENTS: I just made a nice batch of CP soap with this FO, and the scent is wonderful - peppermint! Nice and strong but not obnoxious at all. I had plenty of time to swirl and no discoloration at all. Really wonderful for soapmaking; will definitely order again! COMMENTS: authentic scent smell...smells just like the candy I love! COMMENTS: This fragrance is spot on! By far the best peppermint FO I've come across! It even has the cooling sensation in your nose after its been used in Cold Processed soap. This scent also has major staying power! Love, love, love it! COMMENTS: Great holiday fragrance, Love the fun peppermint candy smell, Will buy again. "Too Much Vanilla, Not Enough Peppermint"
COMMENTS: Too Much Vanilla, Not Enough Peppermint. Also, the scent didn't stick well in my CP soap. COMMENTS: My customers love this fragrance for 'candy cane' lotion in the winter. I also use it as a 'garden mint' for summer soap, and it sells pretty well then too. COMMENTS: Now this is peppermint!!! We love it! "Best Peppermint on the Market"
COMMENTS: This peppermint has amazing hot and cold throw in candles. It's by far the best on the market! Super strong and authentic smelling; it also mixes really well with other FOs. COMMENTS: This is a must for Christmas time! Smells perfect! I love the cool minty scent in this! "Peppermint Candy - detailed review"
COMMENTS: Results from my testing Peppermint Candy FO in a CP Soap basic "trinity" oil formulation, no gel, no colorant, 0.7oz FO PPO: The FO itself is clear in color. It did not accelerate or rice at all in CP Soap, so it was very well-behaved. I have not detected any discoloration at either pour or at 24 hrs after pour. At this time, it is not yet at complete cure. The aroma is that of a sweet mint, not overpowering. It has NO medicinal, chemical or menthol aroma, just the light mint. It's rather pleasant but doesn't stand out, and I can see this being used all year round, not just for "Holiday" soaps. The strength of the FO is medium....not too light, and not too strong. I would think the traditional 0.7oz PPO (per pound of oils) would be fine, and taking it to 0.8oz PPO or up to 1.0oz PPO would not be a problem either. COMMENTS: This one faded to almost no scent. Not a good choice for CP soap. Works fine in Bath Fizzies. COMMENTS: I love this FO. It smells so good. I made HP soap bars with this FO and they came out great. Scent really hung around! COMMENTS: Smells just like peppermint candy canes. Great for my Christmas soap series. COMMENTS: I really like this fragrance. Its really does smell like real peppermint candy. Will continue to purchase . COMMENTS: This is a great peppermint scent, like a candy cane with a little creaminess to it. COMMENTS: I love this scent for the holidays and so do my customers. Sticks very well in lotions. 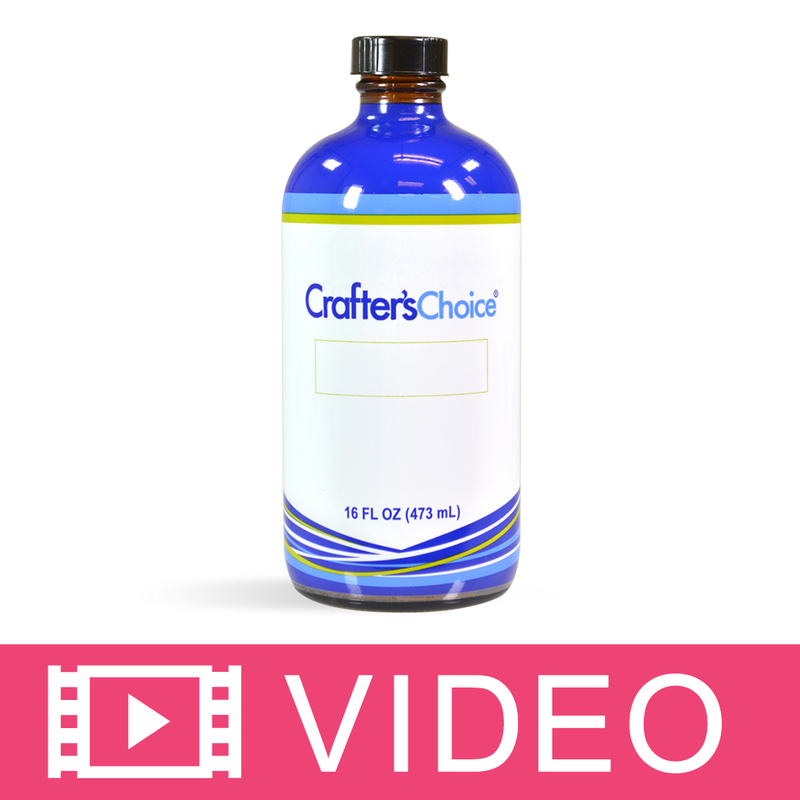 Performs great in CP soap - no ricing, acceleration, or discoloration. I have noticed a bit of fading of the scent however in the CP soap. COMMENTS: This is the first fragrance oil I used in place of the usual essential oil of peppermint. The smell is amazing! I loved it! Great price too! COMMENTS: This smells just like sweet peppermint candies. It is very pleasing and sold out quickly. It also works great in your soap with no discoloration or acceleration. COMMENTS: Very nice sweet peppermint scent in cold process however, after curing 3 weeks it seems to be fading significantly. No soaping issues. COMMENTS: I love love love this scent. However, when used in cold process cupcakes and in bubble bars it discolored both. I double checked and it says there is no vanilla, so I am not sure what else could have caused it. Regardless, the smell is fantastic. COMMENTS: This scent is perfect for the holidays, it's invigorating and clean smelling. I use it in my Christmas themed soaps and everyone loves it. COMMENTS: So I tried out this FO as well as peppermint stick and perfect peppermint. I am trying to find "the one" I guess. This one took the cake. It is still curing, so I can't evaluate the staying power of the FO yet, but as far as workability goes, this one was excellent. Super super slow acceleration, so I was able to do a nice tiger stripe swirl. It turned out beautiful. So much better than the peppermint stick, which accelerated much faster. Excellent Excellent FO to work with. I hope the smell sticks. COMMENTS: I wanted a strong peppermint scent and this hit it perfect! It smells just like the name, I can call all my scrubs "Candy Cane". Everyone loves em! COMMENTS: I love this FO! It behaved so well in cp, plenty of time to play with the wet batter. Holds it fragrance. Will order again and again. COMMENTS: Smells like the name. Works great in CP, no A, D, or fragrance fade. COMMENTS: This FO smells just like candy cane to me. This is a keeper! "Smells like true candy canes!!!" 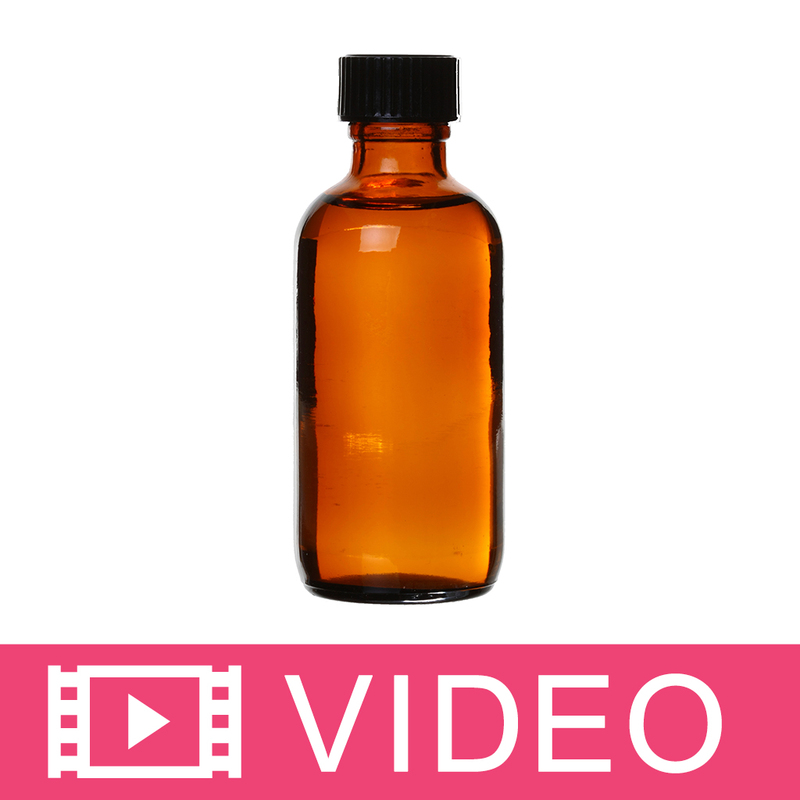 COMMENTS: I love 99.99999999999 % of WSP fragrance oil. There oils are different from any other company I have used, and this one isn't different. I was thinking I had bought the peppermint stick fragrance oil and bought this one but I am glad that I did. It worked well, no acceleration, seizing, separation, or discoloration. I will order more, but I want to order the Peppermint slick, and then come back to this one. 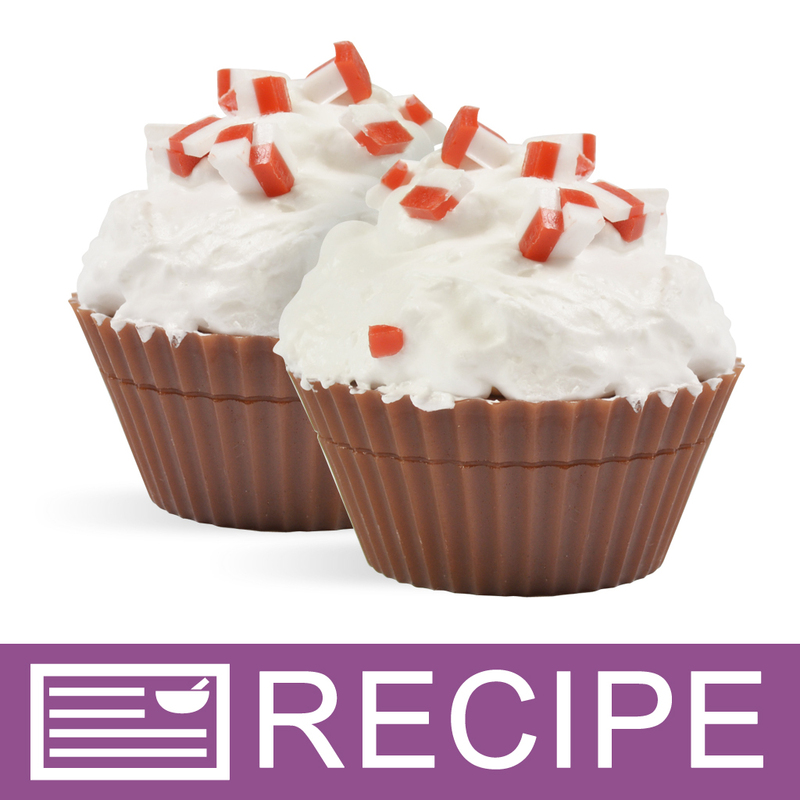 You don't have to wait until, Christmas to buy this one, it is great year round, and do the tiger swirl, or funnel swirl to make it look like peppermint stick candy the customers will love it. COMMENTS: This smells great! Got a little on the tip of my nose and it definitely gives it that tingly feeling which I was hoping for. I saw that peppermint essential oil actually has something in it called pulegone which can be bad for your health, but this does not and smells just as great! Can't wait to use it! COMMENTS: Very true peppermint candy fragrance. 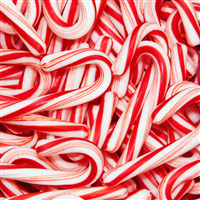 "Peppermint Candy Fragrance Oil 200"
COMMENTS: This fragrance is right on the mark. Just smelling this from the bottle I could visually "taste" this Christmas candy !!! This is my go-to for a Christmas candy scent. • Not a thing !!! COMMENTS: My friend loves peppermint, but she wanted something that was a little sweet too. This is the fragrance for her. It smells just like the candy and it's very strong. When I first used it the scent seemed weak, but after a few days of curing it really bloomed and became nice and strong. COMMENTS: This FO scents exactly like a FO with a kick...very crisp and minty...a little goes a long ways, therefore it makes it economical as well. The scent holds up really well in HP and lotions. COMMENTS: I used this scent in some Christmas soup that I made, and it was wonderful! It is a perfect balance of mint, and isn't overpowering like many I have tried. COMMENTS: A sweet peppermint candy fragrance which did great in cold process soap. No discoloration. This scent is not just for Christmas time. COMMENTS: I love this fragrance oil. It is very strong, and sticks in everything I've used it in - MP, CP, and bath salts. It's very refreshing and just a tiny bit sweet. Everyone who has smelled it loves it. COMMENTS: I used this in CP, body butter and in bath bombs with bubble icing. No discoloration, no acceleration. Soaped beautifully and all my customers loved it. I'll definitely buy this one again! COMMENTS: Great peppermint scent! Holds strong in cp soap and works well in lotion. Used for Christmas soaps, but this could be a year round staple. COMMENTS: Was hoping for more of a candy smell. This is very peppermint to me - like EO peppermint, with a hint of sweet. Was hoping for more of a sweet candy cane smell. Probably wouldn't order again. "We LOVE this fragrance! Works great in CP"
COMMENTS: This fragrance works beautifully in CP soaps. It doesn't accelerate or rice! 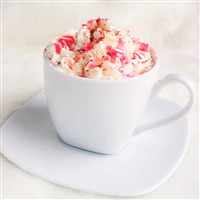 It's one of our top sellers at Christmas time, and a great seller for our peppermint fans. COMMENTS: I really like the smell of this Peppermint Candy FO. It smells like candy canes. I find that a little goes a long way. I will definitely be buying more. COMMENTS: This scent is fantastic! It is the perfect winter/holiday peppermint. It has the tiniest bit of sweet to it, but it is the cool that is indicative to peppermint that comes through so well. This would be great in a foot scrub. COMMENTS: Love this scent! I have a large order for only this! Behaves perfectly and holds it's scent. No acceleration! COMMENTS: True to it's name. My customers love this scent. I have been asked several times to please continue making this scent. It behaved fine in CP goat milk soap. COMMENTS: This is a nice, light minty scent. COMMENTS: This is a christmas favorite! It soaped beautifully with no ricing, discoloration, accelerated trace. The smell will make you feel like you have the peppermint in your mouth. So, so good. COMMENTS: Wonderful scent, very similar to a mint hard candy! Bright cheery fragrance that behaved very well, no acceleration or ricing in CP soap. Definitely happy with it and I would use it again. COMMENTS: Customers love the smell. I can't keep soaps on the shelves made with this oil. I highly recommend. It smells just like peppermint candy. COMMENTS: This is such an amazing smell and it smells good enough to eat. Customers love this. "Perfect for my line at Christmas"
COMMENTS: The FO is the perfect replica of a candy cane, and it's wonderful for Christmas. COMMENTS: Great peppermint candy scent. It smells just like peppermint candy. My customers seem to love it. Try it, you will love the results. COMMENTS: ...and all year 'round. Coolness at its best! "What a fun fragrance "
COMMENTS: This scent almost makes my mouth water for peppermint candy. It's a strong true scent which seems to last very well. I have enjoyed working with it. It's great in lip balms, scrubs, and even a room spray. This fragrance makes you want to get really creative with your products. I will be ready with this product for next Christmas also. Good purchase. "wish it worked as a lip balm flavor"
COMMENTS: this fragrance oil nailed the smell of sweet peppermint candy. I used it in bath salts and i swear I didnt want to leave the tub! will be purchasing again. WSP Response: Thank you for your review! 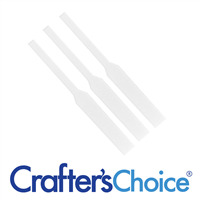 If you would like a fragrance oil that is safe for lips, try the Crafters Choice™ Peppermint Stick Fragrance Oil 540. Remember it is safe to use up to 1%. "REALLY STRONG TRUE TO SCENT"
COMMENTS: I LOVE THIS FRAGRANCE FOR CHRISTMAS SOAPS! SMELLS REALLY GOOD. COMMENTS: Very nice scent. Seems to hold up for a long time. COMMENTS: I used this scent when I made a layered stripe soap using WSP clear and white melt and pour soap base. The scent mixed in well with these two bases. I also made foot scrubs using the WSP Shea soap base and it worked well in that as well. I will purchase this scent again for future projects. I also like the wide mouth on the jar that the scent is in. COMMENTS: We got this scent because we needed a "candy cane" smelling scent. This one is amazing! "Peppermint Candy Fragrance…Can you say Christmas!" COMMENTS: True Peppermint Candy Scent…nice Christmas scent, brings back childhood memories. Would definitely purchase again. "Great Strong Smell in every item"
COMMENTS: Peppermint Candy is one of my top sellers, you get to use less than other scents bc its so strong which is a real money saver! COMMENTS: LOVE this scent! Smells just like the real thing. "True Peppermint, that sticks well in MP soap." COMMENTS: This is a true Peppermint that is a strong formulation and thus very cost effective. COMMENTS: This truly smells delicious! A little bit goes a long way, so it lasts a good while! COMMENTS: Used in CP goat milk soap no water. Perfect pour! Holds scent for a LONG TIME! This is the best peppermint I've used. This will be great for Christmas. Also used in raw shea body butter & lanolin lotion bars, a little bit goes a long way in both products. The cooling mint was great on my feet! COMMENTS: WOW! This scent is dead on!! Smells so real i can almost taste a dinner mint :). Highly recommend for cold process and lotion! No discoloration and just perfect! COMMENTS: The name of the fragrance describes it best - it smells just like peppermint candy. Strong out of the bottle but mellows out considerably in cold process soap. I used 1oz ppo and it yielded a nice creamy colored bar, no A or D noted. The final soap bar has a pleasant minty scent without being too overpowering. Great for the holidays. COMMENTS: This is very strong so a little goes a long way. In CP soap, this seems to work well. It did not accelerate but I haven't had a full cure on it either so I don't know if it will fade or discolor though I highly doubt it. I only used a small amount of this FO ppo compared to what other soaps get. It is so strong, clears your nose for sure. But, it's bright and sweet too at the same time so it's the perfect snowy day soap. "Smells just like peppermint candy!" COMMENTS: This is one of my holiday staples because my customers love it! Smells just like a peppermint candy! COMMENTS: I used this in bath salt at Christmas and layered with white and red layers in the jar. It smells just like peppermint candy. Everyone loved it. This year I think I will do the bath salt and matching soap for a cute little gift set. COMMENTS: This is one of the longest lasting, strongest scents I have used! Does not have the "fuel" smell that comes with some peppermints! COMMENTS: Love, love, love this fragrance!! It's one of those scents that you just can't stop sniffing. Great in lotion, M & P, and cold process. Sticks well and a little goes a long way. I'm keeping this one in my line all year long. COMMENTS: I used this in melt and pour and it only took a litte to give a truly awesome aroma, true peppermint candy smell no doubt. COMMENTS: This is a good in lotions and bath salts. I plan to use this in my salt scrubs too. "Can this or any other fragrance oils you make be used for candles? 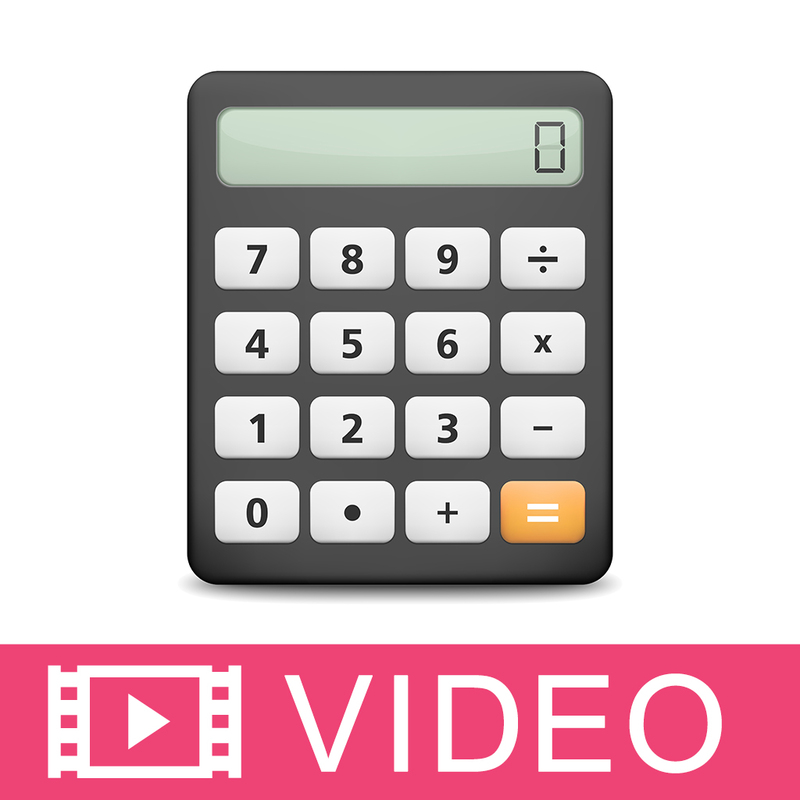 If so what are the percentages that can be used? " Staff Answer Our fragrances can be used in candles. You would need to check your particular wax for the proper fragrance load to add.